Get Your BNTY Ready As Bounty0x Beta Is Now Live! Bounty0x, the blockchain startup creating a global bounty hunting network, has released the Beta version of their new platform. After months of work, the team is finally ready to share their new platform with the world, and in this article we take a look at what this beta release means for the Bounty0x project. Bounty0x is creating a platform for decentralized bounty management. This means that anyone can host, manage and complete a bounty campaign via the platform. Bounty0x users are divided into 3 categories based on their activity on the platform. Bounty Hosts launch bounty campaigns which are executed by Bounty Hunters. Bounty Sheriffs ensure the accuracy and quality of bounty submissions by Bounty Hunters. Bounty campaigns can relate to anything, but initially the team is focusing on blockchain startups and cryptocurrencies. These projects can be anything that can be outsourced, such as project promotion on social media, creating logos, articles or other promotional materials, but also consulting and software development. By decentralizing the bounty process, Bounty0x aims to provide transparency and much higher levels of efficiency to bounty campaigns. The payment system will be fully automated through smart contracts — thus trustless and decentralized. For all technicalities regarding the Bounty0x platform, check out their whitepaper. Besides the Bounty0x platform itself, Bounty Hosts will also be able to release their bounty campaigns on multiple external websites in the near future. These websites include Reddit and Github, and Bounty Hosts can submit a campaign directly targeting the active users of these external platforms. Ultimately, the platform can be used as an efficient tool for marketing and outsourcing several tasks by blockchain startups, Bounty Hosts, on the one hand, and for making a little crypto on the side for Bounty Hunters and Bounty Sheriffs on the other hand. With the alpha release of the platform, Bounty0x has attracted 22,000 Bounty Hunters and over $6 million in bounties. And they’re set to grow even more with the launch of Bounty0x Beta. The addition of the Bounty Sheriffs role on the platform is one of the most notable new features of the Beta release. 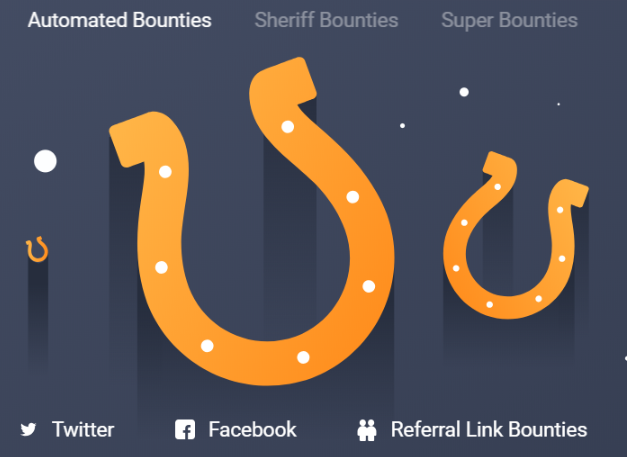 Bounty Sheriffs review and verify submissions by Bounty Hunters. 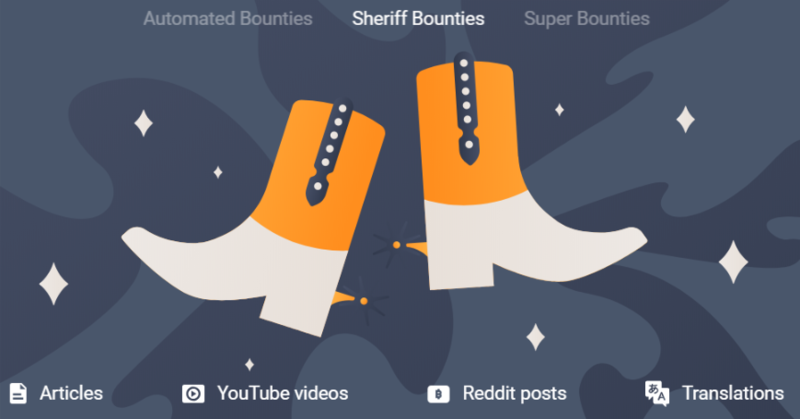 To do this, Bounty Sheriffs stake their BNTY tokens on the reviewing process. 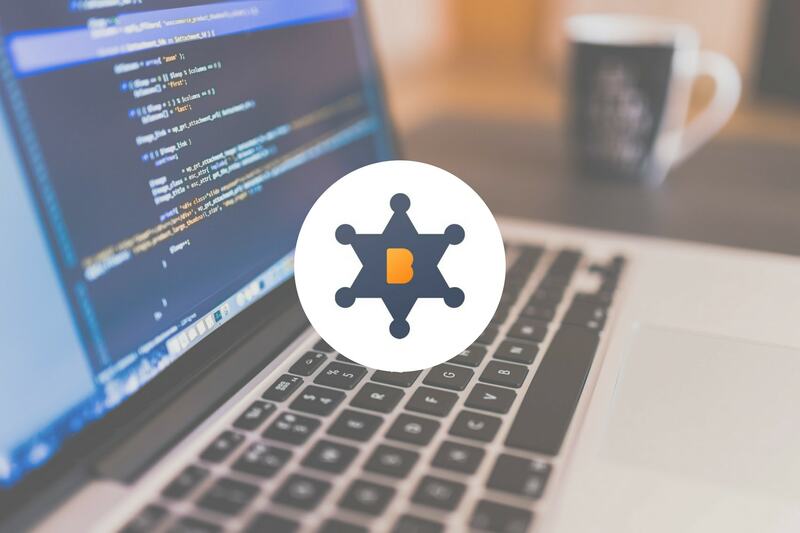 If a submission is rightfully approved, Bounty Sheriffs receive a fixed amount of BNTY tokens in their wallet. On the other hand, if a submission is incorrectly approved, Bounty Sheriffs lose the tokens they’ve staked on the submission. The BNTY token rewards are purchased from the open market by the Bounty Host, the party launching the Bounty campaign. The team is not planning on sitting back and has indicated that they will continuously roll out features to enhance the Beta platform. The team is planning to roll out features such as enhanced profiles and ratings for Bounty Hunters (similar to, for example, Upwork), leaderboards, notifications and messaging systems, and Github integration for software development bounties. However, don’t expect future features to be limited to these ones because the team expects many more features to be included on the platform. The current release is a beta, which means that the full network still needs to be launched. The team expects the full Bounty0x to be ready for release in Q1 2019, and is planning to rename the platform and add even more features to the full release. Other milestones to look forward to are implementation of the district0x decentralized governance model in Q1 2019, the release of the platform’s iOS and Android app in Q2 2019, and cross-chain support in Q3 2019. You can access Bounty0x Beta now. Visit the Bounty0x website and read their whitepaper to learn more about the platform. To keep track of the developments of the Bounty0x platform, check out their Medium blog, Twitter, and Reddit page. You can also join their Telegram group or check out their interesting podcasts.